PHOTOS: Valentine's Day Bazaar At The WFCU windsoriteDOTca NewsThe WFCU was host to the Valentine's Day Bazaar Eat, Shop, Love and Chocolate. The bazaar gave many options to find the perfect Valentine's Day gift for. PHOTOS: Spoontastic Treats Valentine's Day Chocolate Party windsoriteDOTca NewsSpoontastic Treats brought a Valentine's Day Chocolate Party to the Holiday Inn. The event offers endless chocolate fountain dipping, cookies, chocolate. Ice Jam Still At Lighthouse Cove Saturday windsoriteDOTca NewsThe ice jam that formed Thursday night at Lighthouse Cove remained in place Saturday. Water levels are now falling in the area of the ice jam and. Devonshire GoodLife To Close windsoriteDOTca NewsThe GoodLife Fitness location at Devonshire Mall is closing. A posting at the club says that the last day open will be on Tuesday, March 5th can they will. Ontario organ donations increasing, Windsor ranks 155 of 170 for registration rate CBC.caWindsor scored the lowest among Windsor-Essex, Chatham-Kent and Sarnia for donor registration rates. Windsor scored the lowest among Windsor-Essex, Chatham-Kent and Sarnia for donor registration rates. A Charitable New Year windsoriteDOTca NewsTo all charitable samaritans, With the holidays having come to a close we have come into a new year and many of us have come into this year with. I was yawning my way through the Stupor Bowl with a few friends last Sunday when the hardest hit of the game, delivered by Unifor, turned that snore-fest into a jaw-clanging reality check. If the nature conservancy has its way, a big chunk of Pelee Island is going to look a little different. Point Pelee is undergoing some upgrades throughout the winter. Chatham-Kent’s fire and EMS chief Bob Crawford is shown along the Thames River near Poppe Road in Chatham-Kent on Friday. Officials shut down access to the area due to heavy ice jams. Donations from abroad for goats and mosquito nets have their place, but Haiti’s schoolchildren also need computers. After four years running a pilot project that sees impoverished kids in Haiti getting their own electronic learning devices, Don Lajoie is looking to make more futures bright by expanding his program with the help of a native tech manufacturer. Windsor’s Mychal Mulder had been waiting years to hear back from Canada Basketball. The 24-year-old Mulder has been added to Canada’s senior men’s 12-man roster for the FIBA Basketball World Cup 2019 Americas Qualifiers, which will take place in St. John’s, NL later this month. It took a grassroots initiative to get health care professionals to start screening for domestic violence. One man is in critical condition after a crash involving two trucks hitting a commercial building on County Road 22 in Emeryville on Feb. 8, 2019. A pickup truck left the roadway and struck the Lube Plus building around 11:55 a.m on Friday. The other vehicle smashed into the front of an adjoining convenience store. The Ontario Provincial Police are investigating. 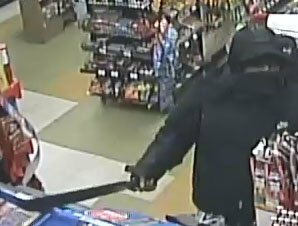 Two Wanted After Convenience Store Robbery windsoriteDOTca NewsWindsor police are looking for two suspects after a convenience store robbery. Police say it happened around 6am Friday in the 3600 block of Matchette. A new collaborative research centre in Windsor, combining the efforts of the local health care and academic communities, took a big step forward this week and is set to launch in the spring. Adding fluoride to drinking water for more than 270,000 people in Windsor, LaSalle and Tecumseh could hinge in part on 50 households and businesses in Lakeshore. In a potential game changer in the contentious debate over the chemical, Lakeshore, which gets some of its water from Windsor via Tecumseh, wants to vote on whether the city can resume fluoridation. But no one knows if Lakeshore is entitled to a vote. It’s been 10 years since Mehari Hagos started an after-school fitness program with 20 at-risk kids growing up in the same Glengarry neighbourhood as he did. During that time, he’s operated the MH100 teen boot camp out of the former Water World complex on Wyandotte Street using his own money. The kids attend the program for free.